Ann Paxton - Marvelously intricate and beautifully executed work by a wonderfull artist, a must see! BeadWorks - Fine beads for creative designers. Firemountain Gems & Beads - America's Favorite Beading and Jewelry Supply Company. Glass Orchids - Unique kiln fired and lampwork dichroic glass and metal jewelry. Harlequin Beads - A great full service store. Portland Bead Society - Celebrate beads with activities and events throughout the year. Shipwreck Beads - The World's Largest Selection of Beads. Suzanne Cooper - Best Little Bead Site in Texas, pack a lunch and stay awhile. 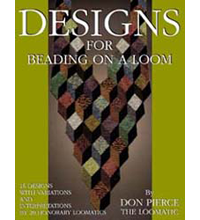 The Beadwrangler - A great site for many craft areas, with loads of information. 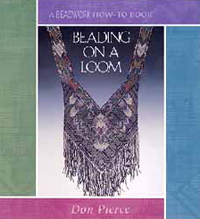 The original and ultimate book about learning to bead weave. Designs dealing with color, texture, shape, and embellishment. 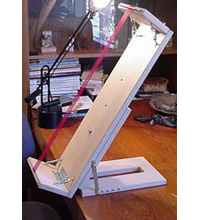 A bead loom designed by a bead weaver for bead weavers.